The holiday movie Christmas Harmony will debut on Lifetime on November 24 at 10 PM. 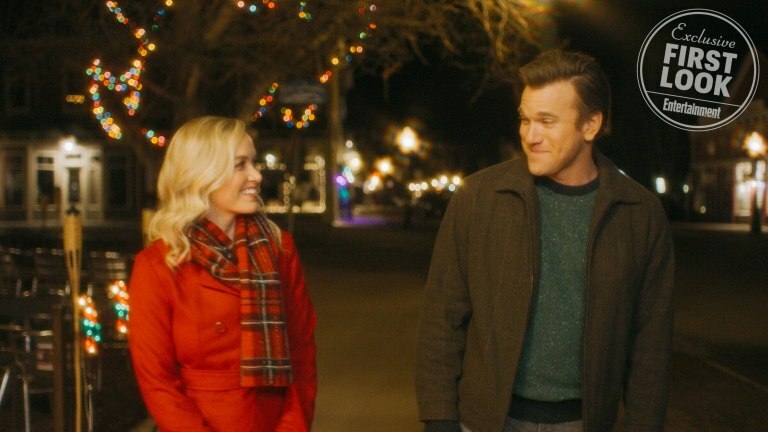 Soft-spoken Harmony (Kelley Jakle) is used to living in the shadow of her pop star boyfriend, but when he breaks up with her right before the holiday season, she returns to her quaint hometown to discover the heart and music that her big city life has been missing. The film also stars Chandra Wilson, Adam Mayfield and Sally Struthers.